Ashtray There are 31 products. 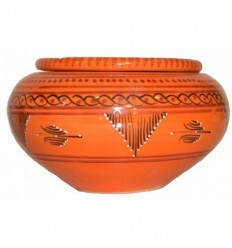 Terracotta ashtray decorated with traditional tunisian designs. This smoke Grabber is handmade by artisans. Moroccan ashtray, hand-decorated with traditional motifs. It shape limits odors and the fly of ash. 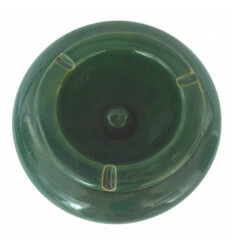 This amazing ashtray is very usefull and can be used as a decorative item. 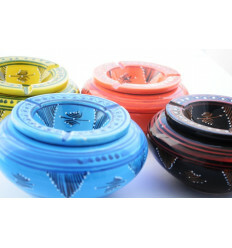 Moroccan ashtray decorated with traditional designs, manufactured entirely by hand by Tunisian artisans. 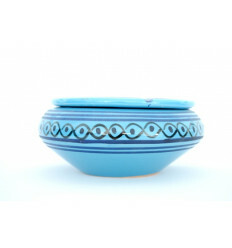 Large ashtray 100% handmade by Tunisian artisans, Its rounded shape and specific blue and white color of the Tunisian pottery make it a very artistic object. Outside ashtrays with solid copper, carefully made by hand by a Tunisian artist. Ashtray anti smoke in clay, hand-decorated with traditional motifs.Both decorative that utile.La brightness and color purity demonstrates the technical and aesthetic quality of this ashtray. 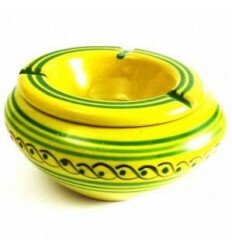 Moroccan Ashtray painted and lacquered entirely by hand by Tunisia craftsmen. 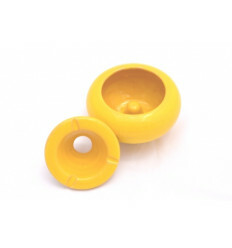 An ashtray that is naturally decorated is designed specifically to be used to smoke or as a decorative item on tables,desks. Its value lies in being traditionally left without colours .